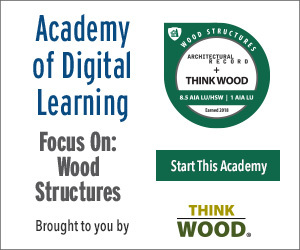 Explain the value of a team approach to quickly mobilizing a high-end interim structure. Compare the energy efficiency profile of a properly insulated architectural fabric structure to that of a pre-engineered metal building and conventional construction. List the advantages of a coated architectural membrane. 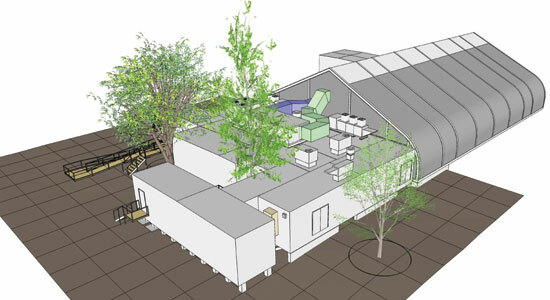 Evaluate the cost effectiveness of a modular interim kitchen facility vs. other alternatives. Harvard Business School's Kresge Hall, which was built in the 1950s and served primarily as an executive education dining center, was slated to be torn down to make space for a replacement facility. While the B school stood to gain an important new building, a pressing question became what to do in the meantime. How could Harvard accommodate the scores of prestigious executives who came to attend its executive education program in the style to which they had become accustomed—all in a high-end solution that could be mobilized quickly, cost effectively, sustainably and, above all, not look like a temporary solution but like a permanent facility that fit well with other buildings on campus? 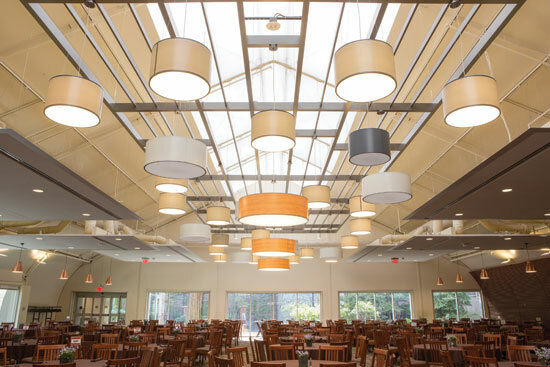 This article will discuss how Harvard solved this dilemma and the design team's process, challenges, and accomplishments, and go on to describe the elements of such a facility from both a structural and foodservice operations standpoint. Also covered will be experiences with similar interim facilities at other universities. Harvard University has replaced its famed Kresge Hall in order to make space for the new Ruth Mulan Chu Chao Center, following a $40-million donation by the Chao family. The new center is named after Ruth Mulan Chu Chao, wife of James Si-Cheng Chao and the mother of six daughters, four of whom graduated from the Business School. The Chao Center, which broke ground in 2014, is slated to open in July 2016, and will serve as a central space for participants in the executive education program by providing classrooms, dining services, and offices. After much deliberation, Harvard Business School opted to go with an architectural membrane structure and high-tech modular kitchen structures whose refined finishes and exterior appearance fit the university’s objectives. To deal with that extensive space, the design team utilized acoustical ceiling clouds with ceiling fixtures and dropped pendants.